Edinburgh, UK. 6 April, 2018. 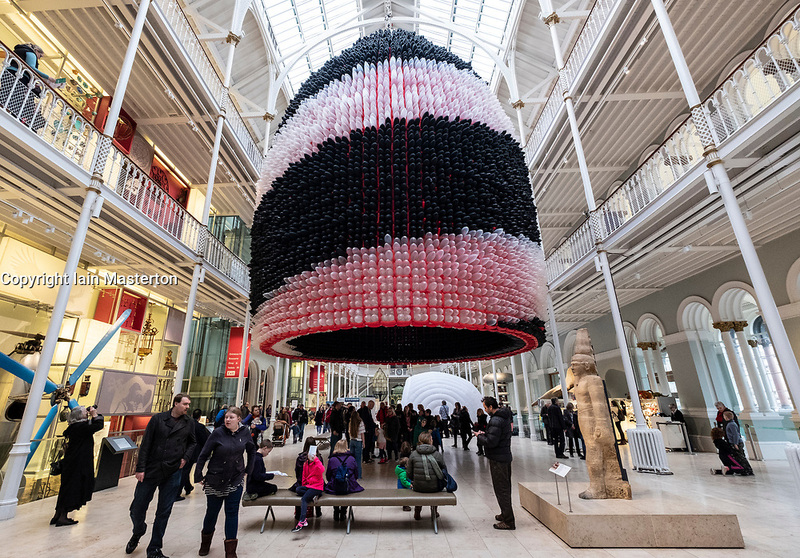 Event Horizon balloon sculpture unveiled at National Museum of Scotland. American artist Jason Hackenwerth returns to Edinburgh with his biggest creation yet: a 30,000 strong balloon sculpture hanging from the top of the National Museum of Scotland’s Grand Gallery. This will be currently the biggest balloon sculpture in the world. The installation is part of Edinburgh International Science Festival.